Soaking yourself in the hot water and the sweat rousing steam of a hot tub can be the most relaxing thing to do. However, getting a hot tub relaxing time can be a most difficult thing to do when you have to a spa for it and you don’t want to boil yourself for everyone to see in a hot tub in your backyard. 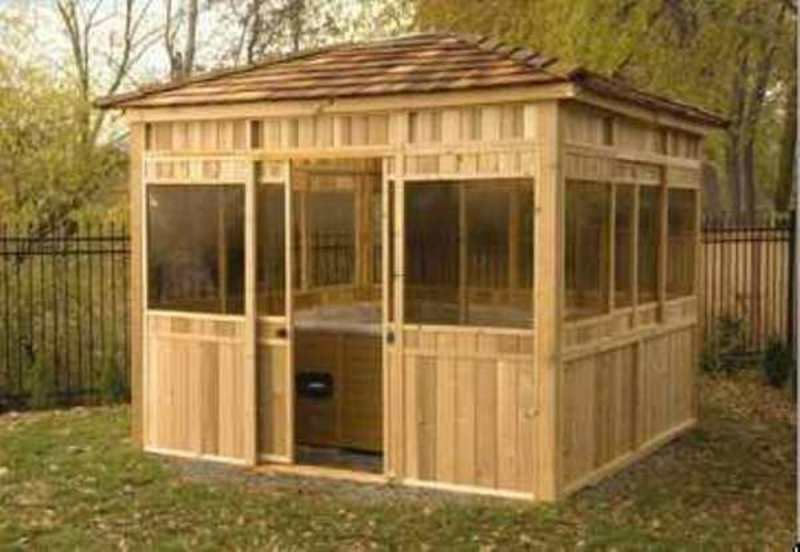 The Cedar Hot Tub from Panorama is a fully enclosed hot tub shelter that lets you enjoy the benefits of a hot tub treatment in complete privacy. The 10’x10’ structure is made completely from 100% Western Red Cedar and includes screened windows so that you can enjoy the view outside while ensuring that no one can see what is happening within. The easy to assemble kit comes without a floor, though that is available as well upon request. The cedar roof shingles come attached, unlike the other pieces, so all of it can be assembled easily without help. The cedar spa shelter also includes a skylight which would keep the enclosure lit from outside lights. Advantages Of Hot Tub Enclosures By Ipc Team.